The weather was really nice today, the sun was shining and no wind. Yup, my kind of day! So with Spring just around the corner, the chickens were finally able to get out of jail! Whooohooo!! 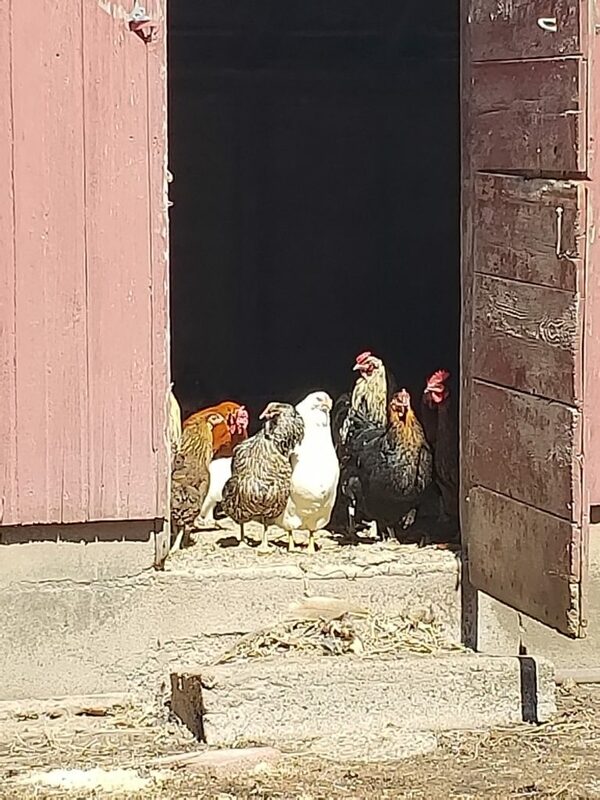 See when the first really cold weather comes around in the late fall, we start corralling the chickens up to get them all in the chicken house for the winter. Of course it’s never that easy because there are some that just think that they need to stay in the machine shed or barn until we catch them. I know that they also know that they are going to be in the shed for the winter, but they just want to make it a point that they want us to work for it! And seriously we do it because we have fox, possum, bald eagles, and chicken hawks in our area and our chickens would be the prime target in the dead of winter when everyone is out hunting! 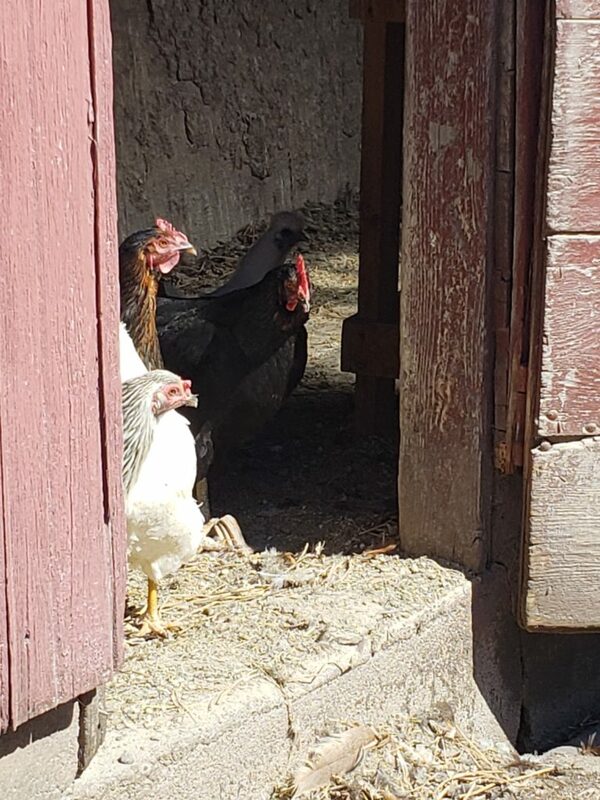 So as I opened the door this afternoon the chickens just took their time and were very leery of stepping outside. I guess that’s why they call them chickens right? But very slowly they made their way out and once they all got out they were some happy chickens! 1 Response to Springing Chickens!